The implementation of operational oceanography in the past 15 years has provided many societal benefits and has led to many countries adopting a formal roadmap for providing ocean forecasts. Continuing the tradition of two very successful international summer schools held in France in 2004 (Chassignet and Verron, 2006) and in Australia in 2010 (Schiller and Brassington, 2011), a third international school that focused on frontier research in operational oceanography was held in Majorca in 2017. In the coming years, graduate students and young scientists will be challenged by many new observations (SWOT, Sentinel, AUVs, floats, etc. ), complex high resolution numerical models and data assimilation (high resolution, predictability, uncertainty, changing computing platforms, etc. ), and the need to work on many scales (open ocean-shelf interactions, coupled ocean-ice-atmosphere, biogeochemistry, etc.). The latter school brought together senior experts and young researchers (pre- and post-doctorate) from across the world and exposed them to the latest research in oceanography, specifically how it will impact operational oceanography. 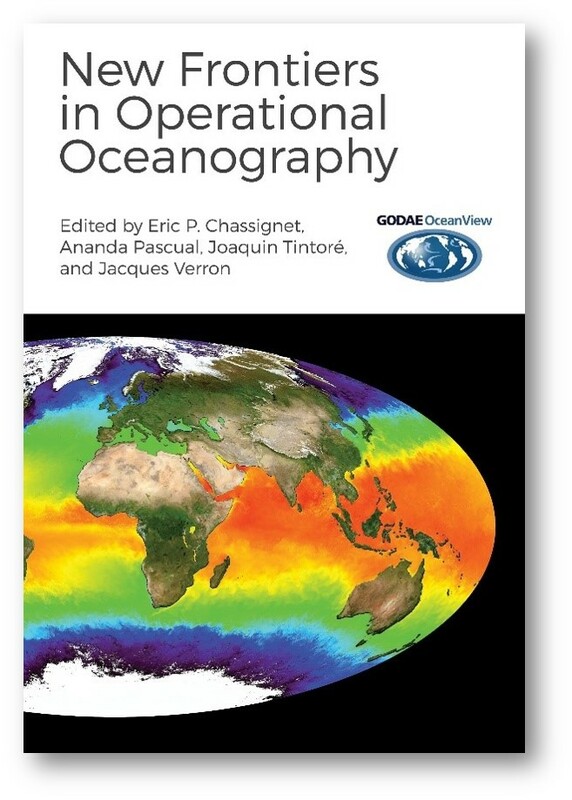 This book is a compilation of the lectures presented at the school and presents a summary of the current state-of-the-art in operational oceanography research. About the Editors: Eric P. Chassignet is a professor of Physical Oceanography in the Department of Earth, Ocean and Atmospheric Science and director of the Center for Ocean-Atmospheric Prediction Studies at Florida State University (Tallahassee, FL, USA). Ananda Pascual is a research scientist at IMEDEA (Instituto Mediterráneo de Estudios Avanzados) in Esporles (Majorca, Spain). Joaquin Tintore is professor of Physical Oceanography at IMEDEA and director of SOCIB (Sistema d'Observacio iPredictio Coastaner de les Iles Balears) in Palma (Majorca, Spain). Jacques Verron is a senior research scientist emeritus at the Institut des Geosciences de l'Environnement (IGE) (Grenoble, France). Eric P. Chassignet is a professor of Physical Oceanography in the Department of Earth, Ocean and Atmospheric Science and director of the Center for Ocean-Atmospheric Prediction Studies at Florida State University (Tallahassee, FL, USA). Ananda Pascual is a research scientist at IMEDEA (Instituto Mediterráneo de Estudios Avanzados) in Esporles (Majorca, Spain). Joaquin Tintore is professor of Physical Oceanography at IMEDEA and director of SOCIB (Sistema d'Observacio iPredictio Coastaner de les Iles Balears) in Palma (Majorca, Spain). Jacques Verron is a senior research scientist emeritus at the Institut des Geosciences de l'Environnement (IGE) (Grenoble, France). Terms and Conditions: Readers may view, browse, and/or download material for temporary copying purposes only, provided these uses are for noncommercial personal purposes. Except as provided by law, this material may not be further reproduced, distributed, transmitted, modified, adapted, performed, displayed, published, or sold in whole or in part, without prior written permission from GODAE OceanView.